Mechanical & Commercial HVAC Contractors | Tessier's, Inc.
Tessier’s Inc. specializes in mechanical contracting work for projects of any size and complexity. Our services include heating, ventilation, air-conditioning, refrigeration, temperature control, piping and HVAC systems balancing. We have been doing this since 1919, which validates our reputation as an industry leader and a recognized expert in our field. Having been in business this long, we are fortunate to be able to share with you our mechanical systems knowledge and expertise. 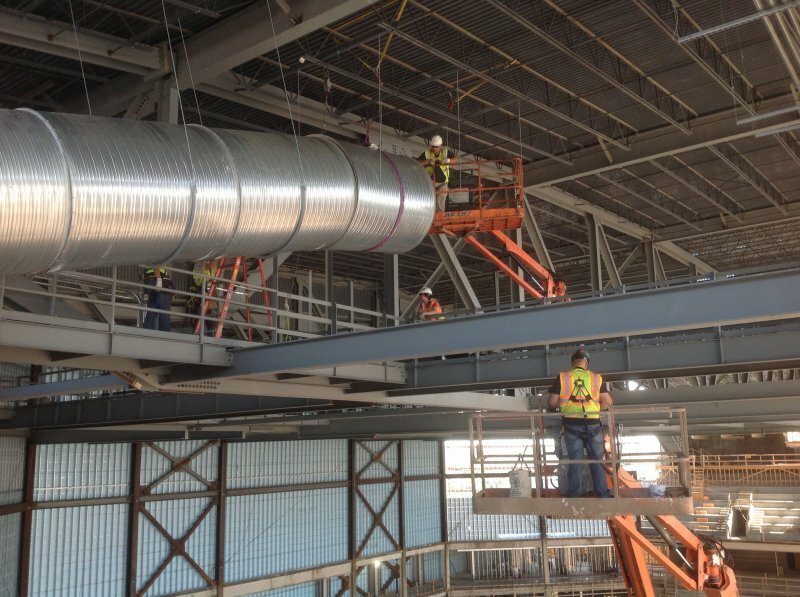 Our experience allows us to provide value engineering to your project such as scheduling, budgeting, procurement strategy, cash flow projection, drawings review, alternative HVAC design and cost effective fabrication/installation methods. We not only employ the best, but some of our best are also trade instructors. They know what works and what doesn’t. They know what can be built and what can’t. Let our experience show you how. For more information on Tessier’s Inc., contact us today. Our team of experts will help you find the heating, ventilation and air conditioning solution to fit your needs.